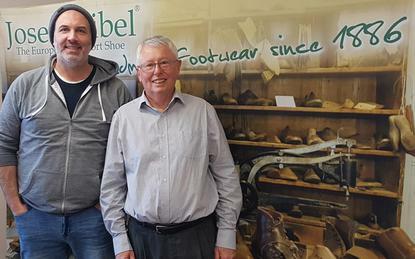 Auckland-based Watts Imports & Distribution specialises in moving footwear between manufacturers and retailers, particularly for European brands and shoes manufactured in Asia. George Rossolatos, IT manager at Watts Imports, said the shift -- completed last September -- was driven by discontent with the company's former provider on both performance and features. "As we run a mixed environment at Watts Imports, the inability of our old provider to offer Linux as an option was always a problem," Rossolatos said. When he received a call from the Oracle sales representative, Rossolatos admits he was sceptical. "I thought: this guy has no idea about the size of our operation and is dreaming if he thinks we're going to pay enterprise money for cloud services!" he said. "So, I went along with the pitch and listened to the features, but always thought when we got to talking about the money that the conversation would end pretty quickly." He even provided a slightly lowered cost of the current service only to be "blown away" when the quote matched actual costs. There was no financial gain as the price stayed the same, but Watts is getting much better bang for its ICT buck - the real benefit was in performance, features and flexibility, as well as "exceptional" customer service. However, no ICT project comes without challenges. “Recreating our environment in the cloud again was probably the biggest challenge time-wise as it was an unexpected project on our list of things to-do," Rossolatos said. "The primary role of our Oracle Cloud services are for backup and disaster recovery, and as we had our own bespoke method of syncing files between our local and remote servers, there were questions around how we would be able to open up specific ports to achieve this." The Oracle Cloud console, however, provided the fixes needed -- and much closer ongoing control. Plans for the future are the most exciting part of the project. As the services allow CPU, memory and storage to be dynamically allocated, Watts is now able to have multiple instances running different environments -- Windows and Linux. "I've always been a bit of a bare-metal crusader, however, now for the first time, I'm considering consolidating and moving our production servers onto the Oracle Cloud," Rossolatos said. Features like reboot-less kernel and user space patching with K-Splice (at extra cost to the current plan) are big draw-cards, as well as reducing downtime for users. Instances can also be built for development and testing, which means never having to scrabble spare parts together to make a test server.